I had the opportunity to travel down to Montreal and train with Bruno Fernandes on 3 separate occasions. The atmosphere and energy in each and every class is off the charts and it wasn’t uncommon to have 3- 4 black belts on the mat at a time. 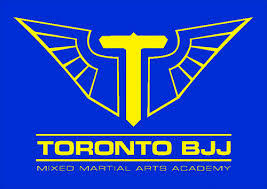 The students and staff are extremely welcoming and the instructors are some of the best I have every worked with. I highly recommend stopping by the academy if your every in the area. The Gracie Barra Association is a global organization formed by more than 200 BJJ schools. It holds the mission of training body, mind, and spirit through the highest level of Brazilian Jiu-Jitsu instruction and self-defense. Martial arts are also a mean for individual development and the strengthening of the family spirit, going beyond the competitive realm. At Gracie Barra, the principle of efficiency, the core of BJJ, is not restricted to a general principle behind the practice of self-defense techniques, but serves as a moral beacon that guides the behavior of each Gracie Barra Brazilian Jiu-Jitsu practitioner, instructors, and their students. My goal is to create in Canada the same environment that I had back home, which I believe was essential for my moral development and learning of BJJ. Our martial art school in Montreal will be the home for all, where the spirit of camaraderie will prevail. In Brazil, BJJ is more than a sport or a self-defense tool, but a way of life to be shared with the people we care about. I’ve trained BJJ all my life, evolving from practitioner to competitor, and finally becoming a professor. But my passion for the art never stopped growing, and it will be a joy to share it with you. Even though BJJ is considered the most effective martial art for self-defense, it is gentle enough on your body, allowing you to practice it since childhood for as long as you please. There are virtually no physical limitations for the practice of JJ and everyone, regardless of size, weight, gender, or age is welcome in our team. Please take this as a personal invite to come visit us, and know more about our programs. PS: Ready to try your Intro Class?? Call us at (514)932-5777 or email to book it right away!